Approved for waterproof footwear. 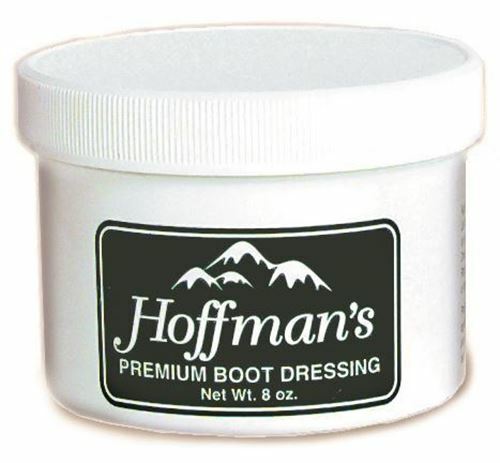 Hoffman's Premium Boot Dressing is manufactured by Obenaufs. 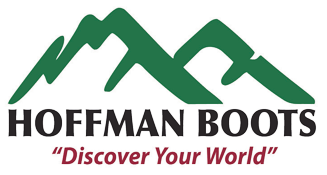 In our 30 years of experience with many products we've determined this to be your best protection and value. 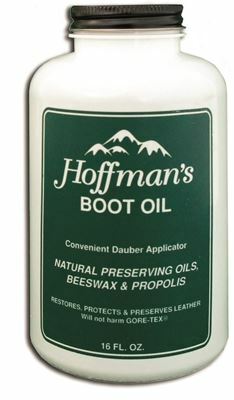 To help keep your boots dry inside, we recommend periodically adding our latex sealant to the area where the rubber and leather are sewn together. For extreme conditions, add a second coat. 2 oz.